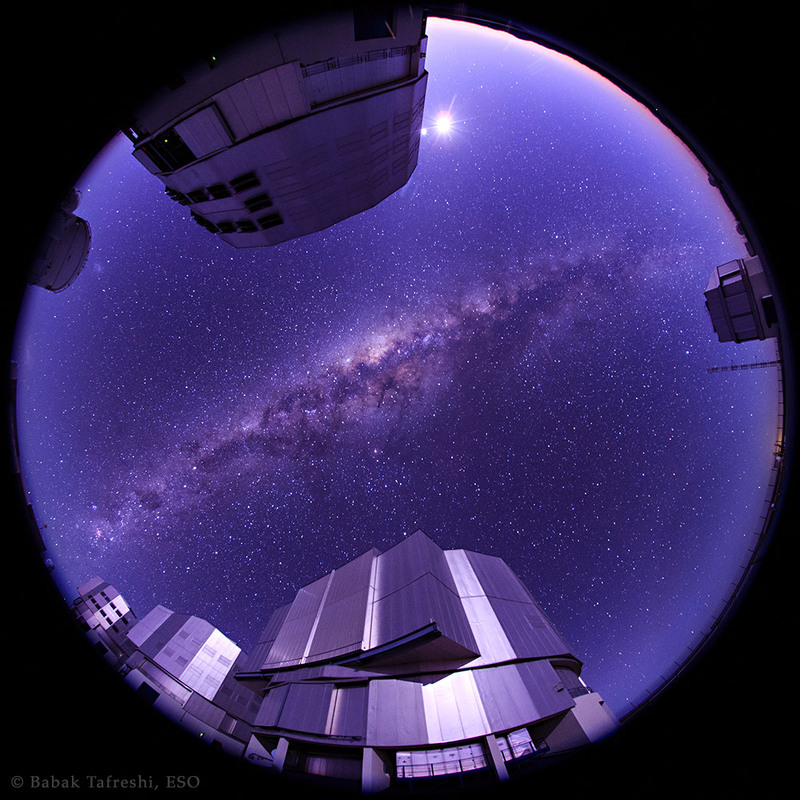 Explanation: As dawn broke on March 27, the centre of the Milky Way Galaxy stood almost directly above the European Southern Observatory's Paranal Observatory. In the dry, clear sky of Chile's Atacama desert, our galaxy's dusty central bulge is flanked by Paranal's four 8 metre Very Large Telescope units in this astronomical fisheye view. Along the top, Venus is close to the eastern horizon. The brilliant morning star shines very near a waning crescent Moon just at the edge of one of the telescope structures. Despite the bright pairing in the east, the Milky Way dominates the scene though. Cut by dust lanes and charged with clouds of stars and glowing nebulae, the centre of our galaxy sprawls across the darker zenith even as the deep blue sky grows brighter and buildings still glint in moonlight.